Original content - not a rehash of prior books or letters​​. 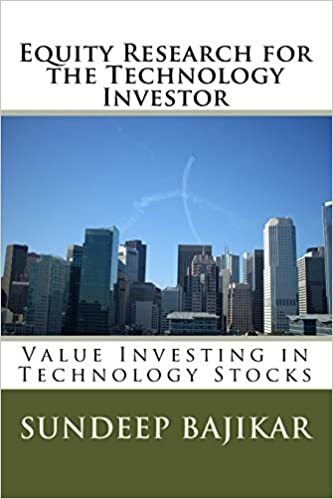 This book describes an equity research approach which combines principles of value investing with domain specific expertise in the technology industry. The book also provides an overview of the financial services industry and the different types of conflicts of interest that drive market participants toward objectives that may not be aligned with those of the individual investor. The book describes an equity research process that I have followed throughout my career as a financial analyst, and shows that equity research is difficult not just for the technical skills involved but also due to behavioral issues that one has to deal with quite frequently when it comes to investing. Equity Research takes a lot of work - much more than an individual investor is likely to be able to commit given that her main profession is probably something other than investing. A central message of the book is for the individual investor to find an independent investment manager who she can trust to pursue an investment strategy that is aligned with her goals. According to data provided to me by Amazon.com (and affiliates) since the release of the book on 3/22/16, Kindle and Paperback editions of the book have been purchased and/or downloaded in the following countries: U.S., U.K., Japan, India, Germany, Spain, Australia, Canada and Brazil. Current and former C-level executives of Tech Companies, Mutual Fund managers, Hedge Fund managers, Independent Investment Advisors, Technology Industry professionals, Investment Banking professionals, Investor Relations managers and Independent Research Service providers. 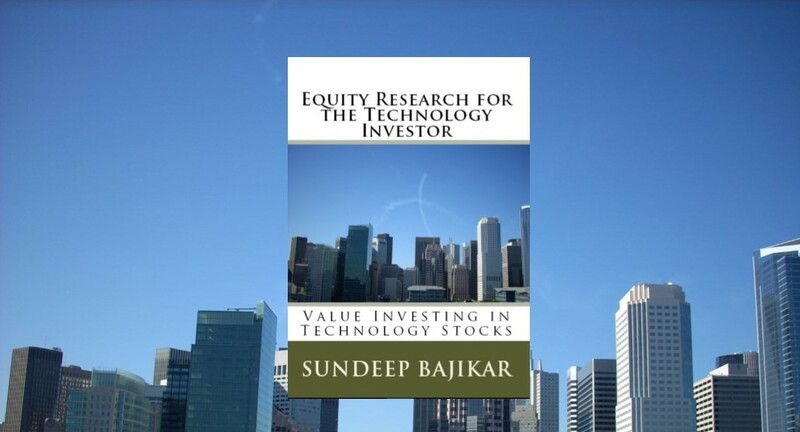 Equity Research Book with unique emphasis on Value Investing in Tech Stocks. The book seeks to answer the following questions, among many others that frequently confound the average individual investor (as well as some professional investors). What are the differences between Buyside and Sellside? Why is investing in Tech Stocks difficult? What drives Margin of Safety? How can Value Investing be applied to Tech Stocks? “Great Book” Hedge Fund Analyst, U.K.